Materials: Brass and shells from the windowpane oyster on a brass soldered frame. Brass base. Bakelite sockets. Period: 1900s until now, this pair is from the 1970s. 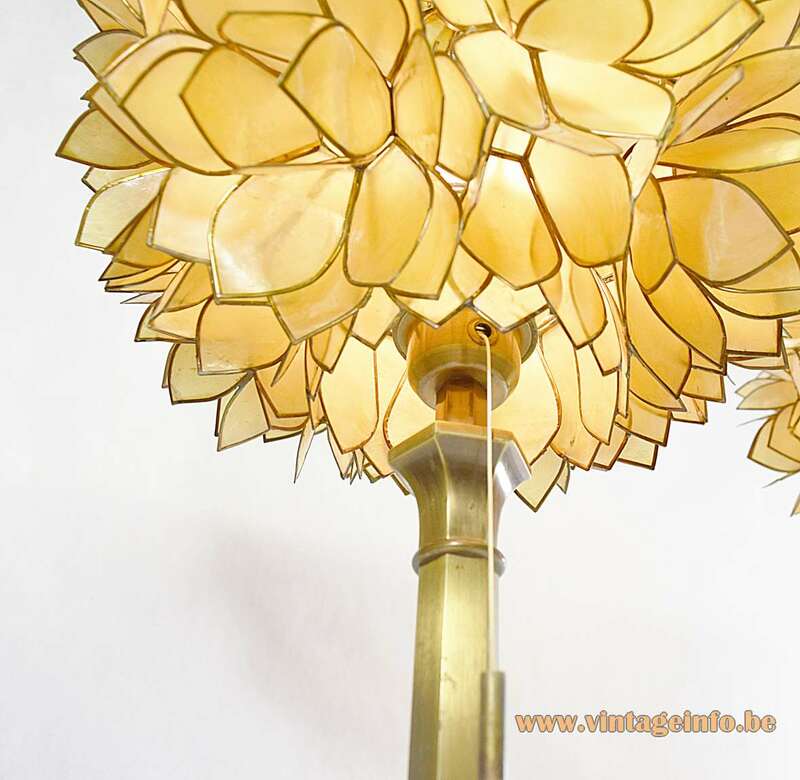 Other versions: Also made as flush mount, wall lamp, ceiling lamp… Every light you can imagine. 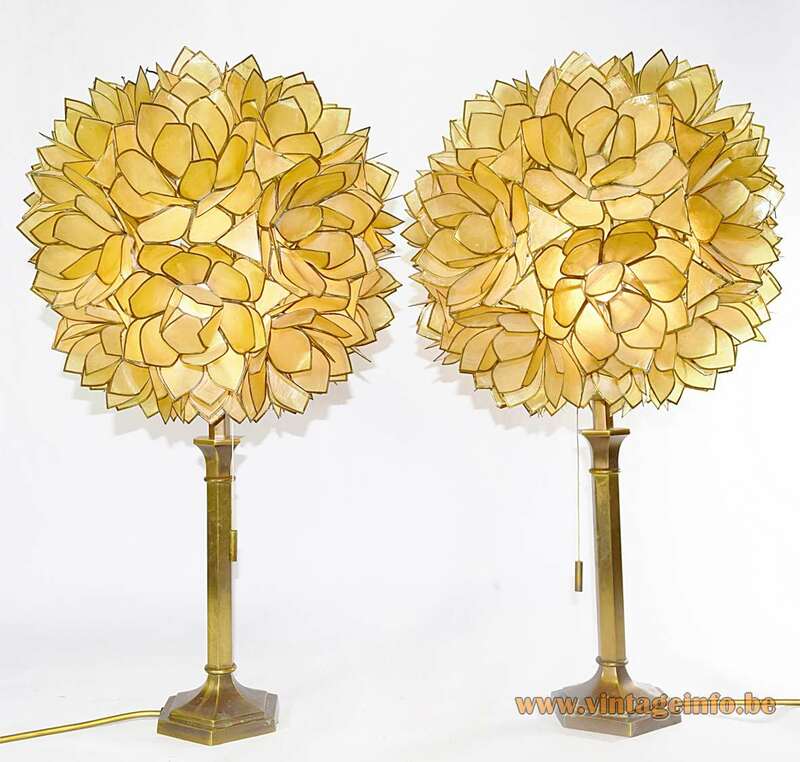 These lamps were acquired in Germany some years ago. Maybe it was a German company that produced them. The pieces of shell having brass edging and are formed as flower petals. 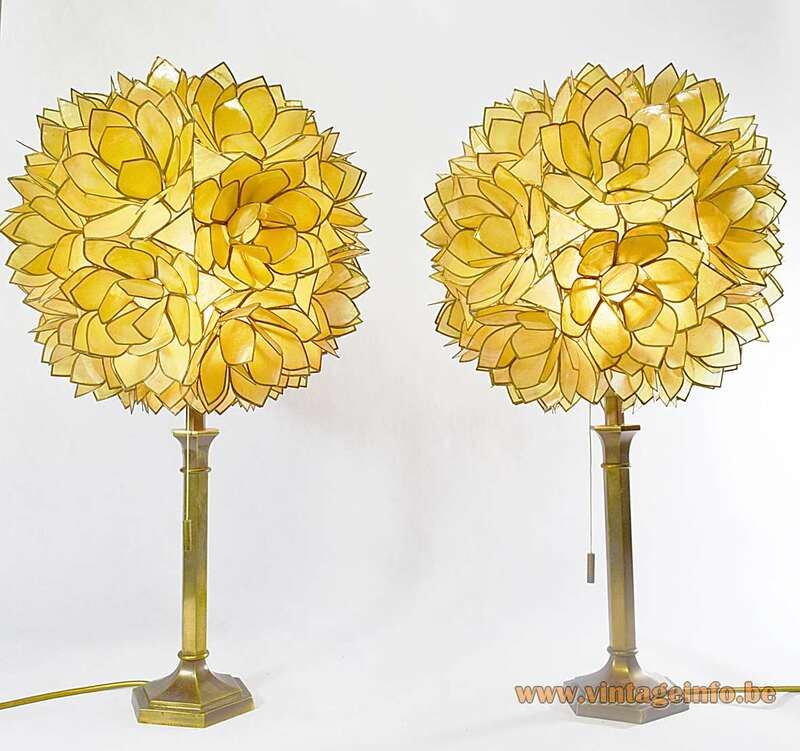 These lamps are often described as lamps designed by the great Belgium artist Willy Daro, but they are not. 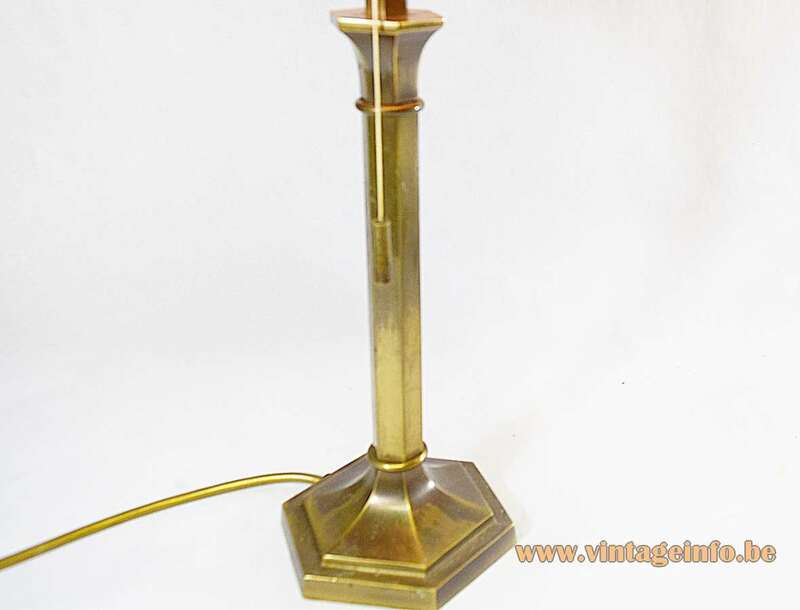 These type of lamps were in production long before he was born. 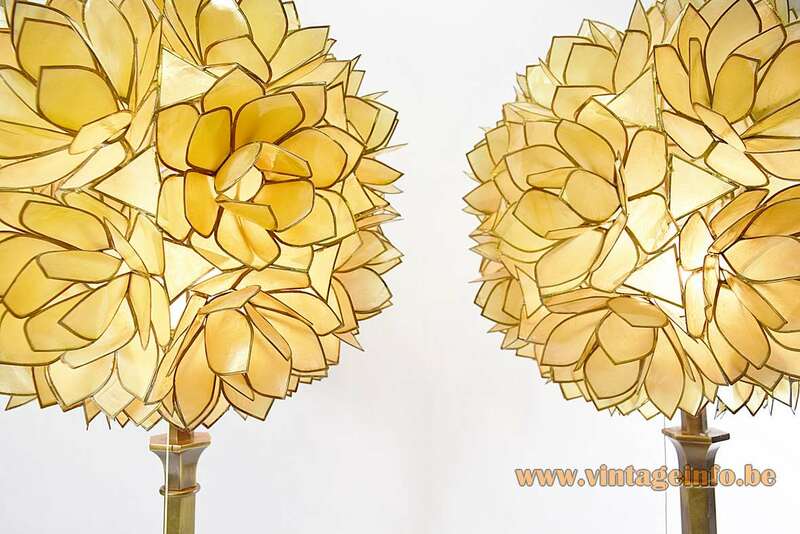 The lampshades are made in the Philippines, special in the eponymous province of Capiz. 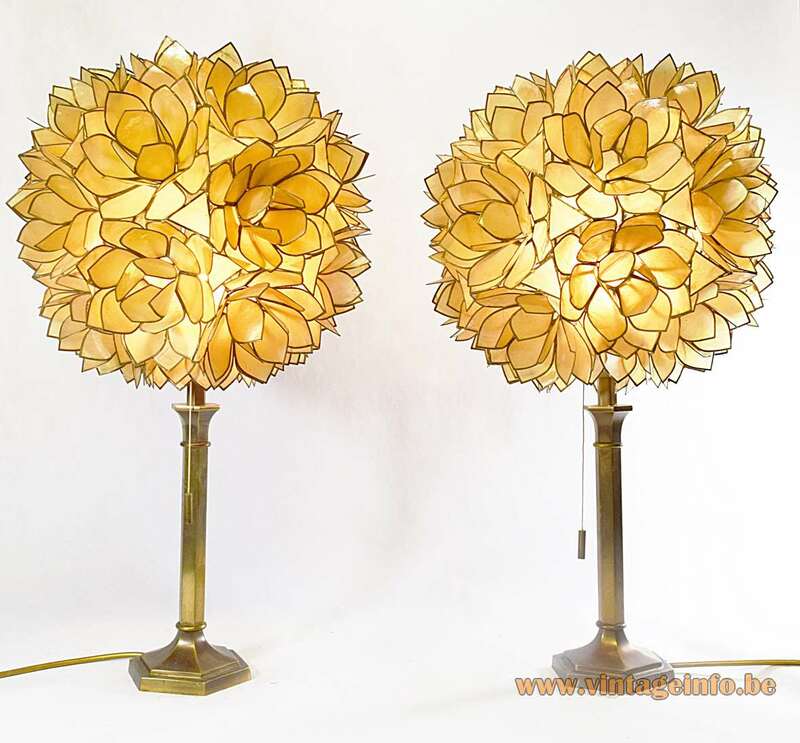 Lamps like these were sold by every light company in Europe at some time in the 1960s and 1970s, because they were extremely popular thanks to Verner Panton who used these shells for his FUN chandeliers he created in 1964 for the Lüber company in Switzerland. 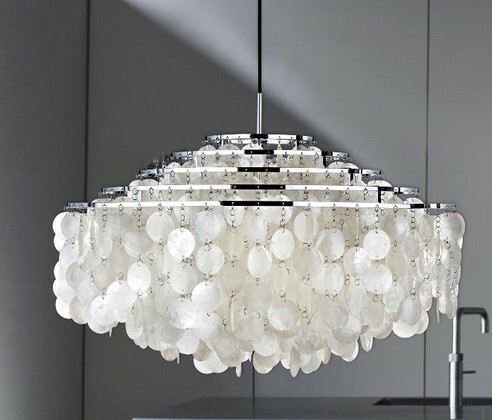 The windowpane oyster used for these lamps are often named “mother of pearl”, but that’s another shell. Mother of pearl is “nacre” and it’s the inside of a different shell and is not translucent. The outside of a pearl is from the same organic material. 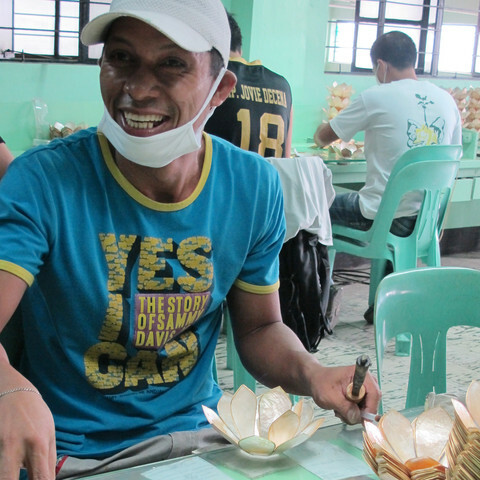 Elevita’s capiz shell cooperative in the Philippines. New lamps can be found online in several stores.